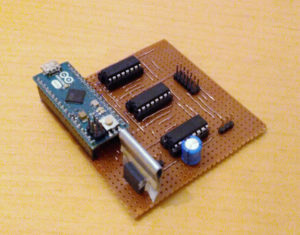 I started out with the Arduino platform and developed a lot with it. The Atmel processors that come with them are great and I especially love the small form-factor Arduino Pro Micro boards for small projects since it not only has its own USB interface, but also a separate, additional UART unit to allow communication with peripherals, and the usual niceties of Arduino’s integrated programming environment. 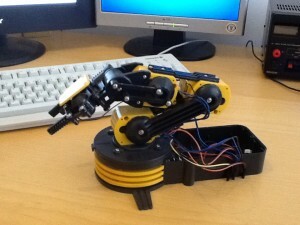 However, as nice as the Arduino platform is, it is relatively bulky and expensive. The original Pro Micro from Sparkfun costs USD 20 (or EUR if imported) and even the cheaper clones cost 5 EUR minimum (the reliable ones that is). This made me think about alternatives and I decided to try out PIC micro controllers from Microchip for a more integrated solution. These PIC series of microcontrollers come in a huge (huge!) variety and can cost anything between a few cents up to tens of Euros per chip and they have a ginormous range of features – on a single chip! Other than the Atmel processors they typically are self sufficient enough to run on their own, just with a power supply connected. They come with on-board capacitive clock generators, UART controller, PWM, memory, EEPROMs,… you can select what you need using Microchip’s quirky and slow, but quite handy part selector. I bought PIC16F1705s and PIC16F1709s as my main prototyping platform. These have a decent set of features like analog comparators, counters, timers, UART, I2C, features I regularly use to interface with other analog or digital peripherals. I am adding new functions to the library as I am using new features of the PIC, so feel free to check out the library. The most useful feature, to date is the Serial library( which is not yet included in an official release, probably coming soon). Please note though, that the library, while convenient, can add a lot of overhead when in comes to execution speed. Writing registers like the latch registers (LATC) directly for switching IO states translates to just a few lines of machine code. In order to make functions like pin_set_pin_mode safe to use, they contain a lot of checks which make the library comparatively slow – my best guess about the overhead is a slow-down of a factor of 30-40. 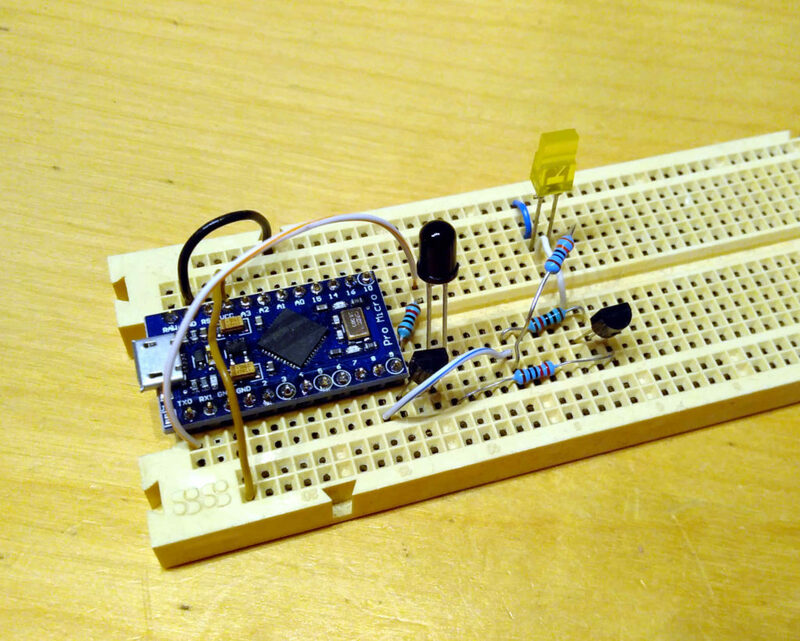 The utility when controlling GPIO pins therefore is limited, but for higher-level functions like controlling the UART, the library is very capable. I intend to keep the library updated whenever I use a new feature of the PIC. Currently, the library only works for the PIC16(L)F170x series of chips, because I do not have many other PIC chips, but it is possible that it is compatible with other chips as well. I intend to keep the documentation updated so that everybody who wants to try it, can use the library with a low barrier to entry. I am currently experimenting a lot with CAD design. A few years ago, I tried out FreeCAD, an Open Source 3D CAD solution, and found that it was quite unstable. I anyway managed to make my first 3D design with it that I later even 3D printed. Due to the problems with the software I was not very impressed. However, I recently had to design something for a new project and revisited FreeCAD, and was very happy to see that the instability issues were mostly solved. I only had a single crash while designing a mount plate for a servo, and to be fair, this was after stress-testing the application a bit by clicking more or less each and every button on the interface to see what it was doing. If you want to use the model yourself, you can download it from GrabCAD. This model was created in FreeCAD. I can recommend the software now, at least for simple designs! Now it is easy: I created a web service that can generate wavedrom plot images on-demand at the URL: http://wavedrom.craftware.info/. It is possible to generate PNGs or SVGs with SVGs being way more crisp, but possibly embedding SVGs is not supported everywhere. For details on the syntax of Wavedrom, visit the wiki-documentation on the original GitHub-repository. There is also a gallery with examples as well as a nice-looking editor available for Wavedrom. Note however, that only the rendering Wavedrom images with the default skin is supported at the moment! I also published the source-code for the on-demand server on GitHub. The server is written in Python and uses PhantomJS to render the images. Prometheus is a pretty awesome recording server for metrics of all sorts. We use it at work to record data about servers, room temperatures, and other things. The whole server gets really nice an shiny if combined with a slick dashboard like Grafana. But enough of this fanboy-ism, there is a problem with prometheus which almost became a deal breaker for us using it: Prometheus employs a (relatively) strict pull mechanism for fetching metrics from devices. The server is configured to regularly check on peers to fetch the metrics from them. Promethues takes the active part of the data collector and therefore can detect downtimes of devices automatically. It nicely allows one to define what metrics should be available on a client and configure a server to fetch them. A nicely encapsulated design! This design comes to its limits though when it collides with company restrictions on dataflow, also called “firewalls”. Publishing metrics to the internet from “the inside” becomes almost impossible since the active part of the prometheus system is isolated and cannot contact the machines it should “scrape” the data from. This is a well-known issue and it can partially be fixed by relying on the so-called pushgateway. Metrics are pushed to this pushgateway, are saved, and later served to the prometheus server when the pushgateway is scraped. Since metrics now are push from the devices it is possible to penetrate business firewalls and send data to servers on the internet. However, the authors of prometheus see this use of the pushgateway as an antipattern. The official usecase for the pushgateway is be to persist metrics that are not continuously available, but are generated, for example, by an automated script runs for a short time. When it finishes it produces some metric that needs to be made available to prometheus, but it cannot be made available by the script since it is not a continuously running server process. Pushing the generated metrics on a local(!) pushgateway for later scraping from an external(!) prometheus server is the solution. Note that this is different from the proposed firewall penetration usecase for the pushgateway. To be able to push through the firewall, the pushgateway must be on the prometheus server-side, not on the devices. The consequence of this design decision is that an important feature is missing from the pushgateway: timeouts for stored metrics. These are important in the firewall usecase, because the prometheus server cannot check if a device is offline anymore. The last stored metric is persisted in the pushgateway forever and data just “flatlines” if a device goes offline. At work, this was a real shame: the prometheus server worked fine and was great, but we could not use it through our business firewall. Personally, I see why the original developers see it as an antipattern to try to use a pushgateway for firewall circumvention. On the other hand it is also a pitty that this software becomes entirely unsusable in this situation, expecially since the missing feature is relatively small. Therefore, it was time to code the antipattern! Since it was needed for work, I contributed to the project and implemented the unintended feature, which is available on github and also in a binary form on docker-hub as a compiled docker image. The extension of the pusgateway allows devices to send timeout information about metrics. The pushgateway will then delete these metrics, if they were not refreshed within the defined timeout. This works like a charm and allows us to make use of prometheus through our firewall. If servers are offline, metrics do not only flatline, but are shown as missing. Perfect! I cannot support this project at work but will probably do so every now and then in my free time. So have fun using this feature, if you feel a bit “antipattern”. I really like the game Space Engineers developed by Keen Software House. I recently picked it up again and was a little bit disappointed that there were a bunch of new features added to the game, but the underlying network engine did not seem to have changed in over a year. Since I am a Software Engineer and personally like to do a bit of game development on the side, I got interested in the code-base for Space Engineers which was released a year or so ago on github. I wanted to see how the game was coded and how the code base of the project looks. First of all, I discovered that my initial concerns regarding the immediate usability of the code base were true: even when following the official README-instructions, it took me about 8 hours to get everything compiled. This morning, I got it working for the first time in a Release build and with a little bit of extra effort also in the Debug build. So far so good. To my surprise, running the actual game worked out of the box! One needs to own an original version of Space Engineers on Steam from where extra libraries and assets are pulled, but the default run configuration in Visual Studio worked fine, immedately. Making this mod also let me work more closely with the code base of Space Engineers. As it turns out, Keen Software House did not open up much of the underlying engine VRage together with Space Engineers. Only some parts of it (modules? parts?) are included in the code base. The remaining use of VRage consists of API calls into some compiled VRage-DLLs published via Steam. It would not matter too much but the complete lack of documentation makes browsing and understanding the code base a lot harder, especially for calls to the binary libraries. Also the resource configuration files that the VRage processes, for example music and sounds configurations files, are undocumented. And finally I discovered that audio files cannot be typical sound formats, but are required to be a Wave file or some undocumented flavor of Windows Media Audio 2-file which I do not know how to generate. Since I was so disappointed about the lack of improvements to the netcode in the past year, I also had a short look at that. From my initial sweep looking at the Space Engineers netcode it seems to me that the multiplayer entirely relies on synchronized values. I could not quickly find a footprint for any type of specialized prediction algorithms that, for example, make a difference between which player has control over a ship – everything is handled the same. This would explain the “bounciness” that one experiences when trying to play Space Engineers in multiplayer: Different clients are fighting and synchronizing the same values based on their local simulations which cannot run perfectly synchronously. In this context, a lower ping would actually increase the issue since there would be more updates and bounces per second, and the oscillation of ships would be quicker. With a lower ping, the sudden jumps would be larger, but less frequent. This is contrary to popular believe, where the glitches are (sometimes) contributed to “lag”. I say, given my very superficial research, that these issues would still be there with any amount of “lag” and always appear there until the prediction code is made smarter. I have a few small ideas on how this could, perhaps, be improved, but I first have to see if this is indeed the problem… more research needed. Regarding the “rewrite of the netcode” with Raknet that many people want: I do not think that there is a good reason, to “want” it. Regardless of the used network-layer the glitchfest will remain. The only fix for the multiplayer glitches is to change the way the game world is synchronized with other players.